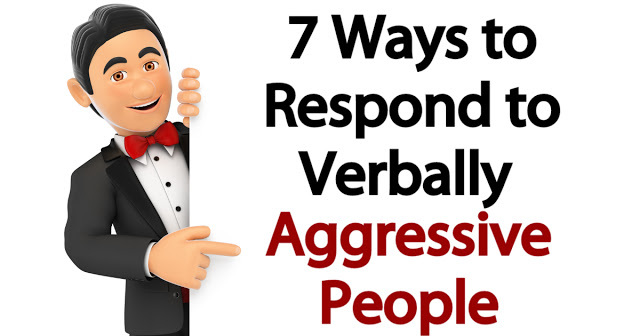 7 Ways to Respond to Verbally Aggressive People! Facing a verbally aggressive person can make you feel immediately defensive, which is perfectly normal, but there are 7 more healthy, harmonious and mindful ways to respond. Like a wild, rabid animal, verbally aggressive people come toward you on the attack, often with little or no reason. Basically, these people are adult bullies and you don’t have to take that kind of behavior from anyone. Verbal aggression often moves into physical aggression and that becomes a scary situation. Researchers studying patterns of domestic violence among married couples found that verbal aggression is more likely to be a precursor to physical violence. 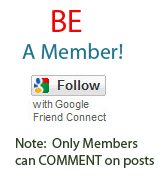 If you are concerned about someone who has been verbally aggressive toward you, take action now. These situations can lead to domestic or workplace violence. Consult with human resources in the workplace, the National Domestic Violence Hotline or the police to get help in handling a potentially violent situation. 1. CHOOSE NOT TO RESPOND IN KIND. Responding to anger, which is what verbally aggressive people are expressing, with anger in your own voice is pointless. It gets you nowhere. They are already angry and now you are too. 2. CHOOSE NOT TO TAKE IT PERSONALLY. Verbally aggressive people usually speak with hurtful words. Rather than being saddened by the painful words, realize that words cannot hurt you. You have a choice about how you respond. Taking their angry words personally only makes you feel bad and doesn’t help them feel better either. In a study of psychiatric nurses who worked with non-physical methods to de-escalate a verbally aggressive patient, nurses who could identify an escalating situation then followed these steps to help the patients to come back to a calm state. You can use these same strategies to attempt to deescalate an aggressive situation. * Check their level of aggressiveness. Ask yourself if based on their actions they are just a little upset or if there is potential for injuries caused to either the angry person or others. * Don’t wait to call for help if you think someone could get hurt. * Listen to everything the angry person is saying and rephrase it back to them to make sure you understood them correctly. * Ask the aggressive person for a suggestion to fix the problem or offer your own solution. 4. ALLOW THEM A SAFE PLACE TO EXPRESS THEIR EMOTIONS. From our article 5 Signs Someone is Manipulating You, you may recall that manipulation is a trait of passive aggressive people. Avoid being manipulated by recognizing the aggression for what it is, anger. If you’ve done nothing wrong, don’t let the angry person force you into an apology. What a verbally aggressive person needs is a place to vent their angry frustrations where someone will listen, empathize and try to find a win-win solution for both parties. Let the angry person know that you are willing to listen but only if they calm down so you can talk at a normal volume. 5. ALLOW THEM SPACE TO BE ALONE. Aggressive people are usually quick to be overwhelmed and then frustrated by a lot of sensory input. Traffic and crowded places for example have lots of sights, sounds, and decisions that have to be made. Too much is going on and it becomes difficult to process making a person frustrated by sensory overload. When the person goes beyond frustration to aggressiveness, it can become a dangerous situation for the focus of their anger. This type of aggressive pattern is a fairly common one in our lives of daily stress. Removing some of the stimuli that are making sound is one of the best ways to deescalate and aggressive person. Allow them to have a more quiet environment for a moment so they can calm down their level of anxiety. Aggression to you may just be a panic attack for them that has put them in fight or flight mode. No one likes to be made fun of, but if you can be quick with a sincere joke, even one at your own expense and laugh, that ability to add humor is the best way to respond to a verbally aggressive person. A comment like ‘Hey, I understand. I get a little more likely to get angry right before lunch too’ or something non-hurtful that can possibly get a smile from the other person. 7. SUGGEST RESOURCES FOR HELP. Ask the verbally aggressive person how best to help them if they ever feel this angry about something again in the future. Offer whatever resources you have that may help them. Counseling resources are more widely available now than ever before.